We're heading to Dublin today! I can hardly believe how quickly it's come around; it definitely doesn't seem like 3 months since we booked this trip. 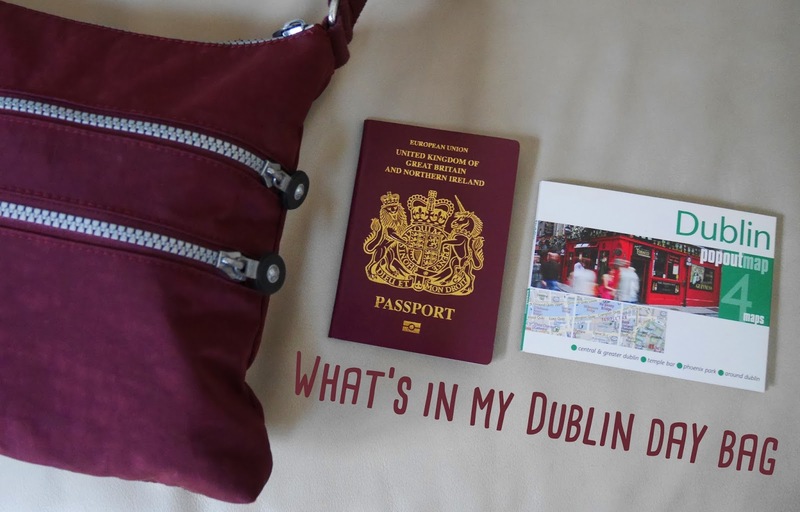 As it's only a 2 night trip, I haven't had to pack very much, but I thought I'd show you inside my Dublin day bag, regardless. I'm using my Kipling cross-body bag, that I used for Rome. In my opinion, Kipling sell the best travel bags, so I had no difficulty choosing a bag to take for this trip. In the bag, I'm carrying lots of travel essentials. 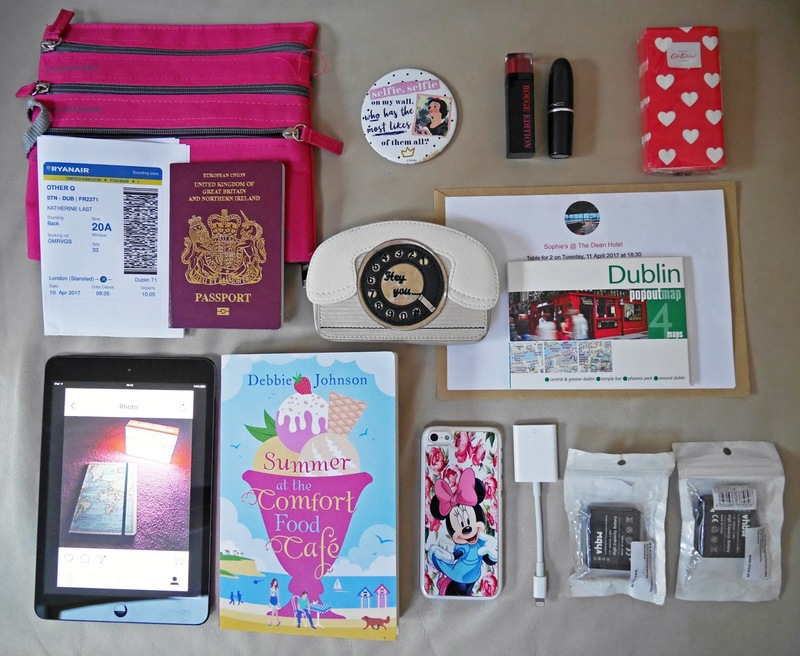 First up is my travel documents wallet and my Accessorize telephone purse. In terms of beauty, I'm carrying my lipsticks and cosmetic mirror. For whilst we're exploring the city, I've got a reservation confirmation for Sophie's restaurant and my PopOut Dublin map. My iPad Mini, phone, spare camera batteries and my 'memory card to iPad' adapter are the technology items I'm taking, along with my camera which I obviously used to take this picture. Last but not least is a chick-lit book, which I'll be reading on the flight. I am so excited to visit Dublin. Have you been to the city before?